Dixie Triggers is on Facebook! Support the local effort to defend the 2nd Amendment! 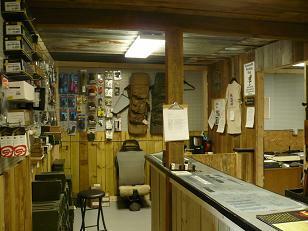 Selling new firearms, surplus firearms, curios & relics, ammunition, parts & accessories, military surplus, hunting equipment and permits, Class III deivces, and books. Starting February 4th, 2017 Dixie Triggers will be changing our business hours. Tuesday - Friday 9am-12pm, Open. Tuesday - Friday 1pm-7pm, by Appointment. Appointments may be made by email (preferred) to spanky@dixietriggers.com or call (912) 754-1587. The change in operational hours will include all Sales, FFL transfers, Class III, Q&A, Repair drop off & pick up. We know in some ways this may be a little confusing during the transition. We believe this will make business run more efficient and allow us to spend better quality time with the customer. We apologize for any inconvenience this may cause. Dixie Triggers continues to be very thankful for all our excellent customers and we look forward to continuing to provide Effingham County with the best service, prices, and products available. Dixie Triggers sells Class III devices! We normally stock suppressors from Costal Gun for the following calibers: .22LR, 5.56mm, 300 AAC Blackout, 9mm, and .308 WIN. We also have a few Daniel Defense Mk18 short barreled rifles that should be here in March 2013 as well. Dixie Triggers can also help you fill out ATF Form 4 with all required paperwork. 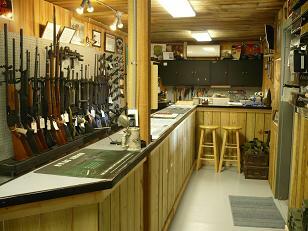 We have a full service gunsmith shop! Eden Gun Works is partnering with Dixie Triggers to provide a full range of gunsmithing services. We have a full sized barrel lathe to cut chambers, recrown barrels, and thread barrels for muzzle devices. On our mill we can drill and tap receivers for scopes, cut dovetails, and even manufacture old unavailable parts. Very soon we will be offering a full range of metal finishing including slow rust bluing, hot salt bluing, Parkerizing, and Duracoat finishes. Call Adam at 912-547-0974 or email him at edengunworks@gmail.com for more information. Dixie Triggers is now on Facebook! Follow Dixie Triggers on Facebook for more up to date news on what is available. 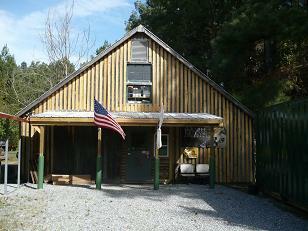 New consignments, new inventory, and special offers will be posted there first. I am a retired disabled Veteran from the U.S. Coast Guard. I was retired as an Aviation Mechanics Technician 1st Class. I served at USCG Airstation Miami, USCG Polar Operations in Mobile and USCG Airstation Savannah. I deployed on numerous Cutters from the warm waters in the Caribbean Sea and North Atlantic to the Icy waters in the Antarctic on the Polar Ice breakers. I have always been an avid gun lover and hunter from my years as a youth. I believe in God and I am a Christian. Ask me about my faith, what God has done for me and what he can do for you. 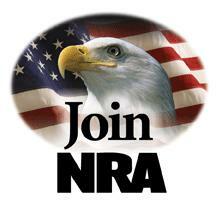 I believe in the right to bear arms and the right to defend my country, my faith, my family, my life and my home. 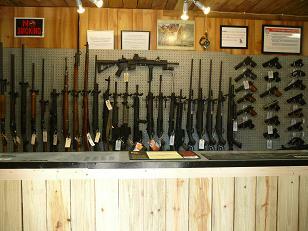 I believe in the rights of law abiding citizens to legally own firearms of all kinds. I believe that anyone who acquires, uses, sells, or purchases a firearm illegally or uses a firearm in the act of committing of crime should be prosecuted to maximum extent of the law. Dixie Triggers came about back in October of 2008. As a disabled veteran my physical limitations prevent me from being gainfully employed, but I am not to be idle. Anyone can go NUTS after awhile being stuck at home and the walls start to close in... I can go on. I had to find something that I could do, that I knew a lot about, that was interesting, fun, safe, and I that could make a few dollars while doing. The whole family helped inventing the name Dixie Triggers. There were many other names (6 to be exact), so one morning I gave ballots to all the family (yes distant relatives too) and viola, Dixie Triggers won the vote and Dixie Triggers was born. I am looking forward to doing business with YOU. Though I may be small scale I hope I will be able to provide YOU with good customer service, a good fair price, a good product and the information you may looking for. I will do my best to make YOU happy that YOU have done business with Dixie Triggers and will come back for all your future firearms. Give me a try.